Our Exercise for People with Parkinson’s class is designed to help adults of all ages maintain an active lifestyle while focusing on cardiovascular conditioning, flexibility and balance. This class includes 30 minutes of group exercise in a studio under the leadership of an instructor (Occupational Therapist and/or Physical Therapist), followed by a half hour in the Wellness Center on the treadmills. Groups are offered at the Rite-Hite Family YMCA. Please contact the Rite-Hite Family YMCA, or Carley Hoelzel at (414) 274-0807 or choelzel@ymcamke.org for more information. 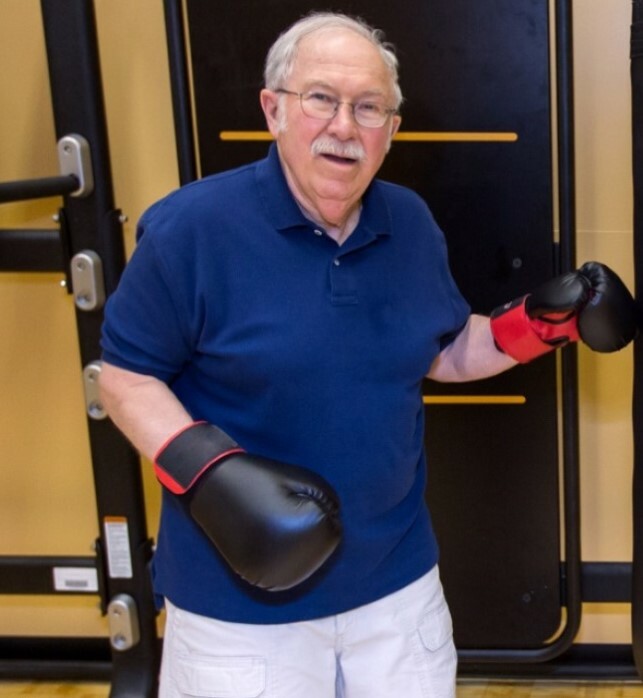 I became a member of the Y after I was diagnosed with Parkinson’s disease (PD). I joined the PD exercise group and it’s been a real blessing. I fully believe that exercise is as important to combating this illness as is medication.